On a lighter note over the years the beauty and interest of the Bay has attracted many important people, from Charles Kinglsey the late nineteenth century author to the Victorian philanthropist Baroness Burdett-Coutts. The English Riviera has even had a great influence on the work of Dame Agatha Christie, the world's most famous mystery and crime writer who was born in Torquay and lived much of her life in the area. Agatha Christie famously refers to Kents Cavern in her thriller "The Man in the Brown Suit". In Torquay, the Agatha Christie Mile walk, leads around the seafront, featuring just some of the locations linked with her life, each marked with a plaque and including the only bust in the world of the most published author of all time. It is possible to find out more about the author in the gallery at Torquay Museum dedicated to the writer and each year a week long, Agatha Christie Festival is held, co-ordinated by the Torbay Cultural partnership. In addition, another famous British author to refer to Kents Cavern was Beatrix Potter. 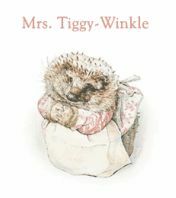 Did she get the inspiration for Mrs Tiggywinkle's underground home from her visit to Kents Cavern? She visited the caves in 1893, the year she wrote the Peter Rabbit letters. 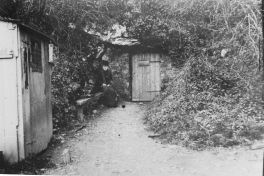 Here Beatrix Potter is seen at the entrance to Kents Cavern.